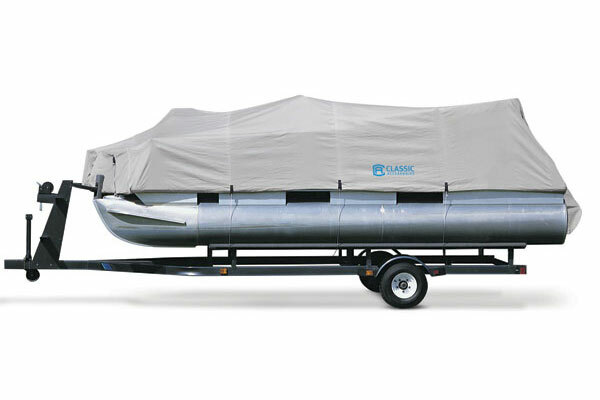 Quality pontoon covers are designed for all-season mooring and storage. 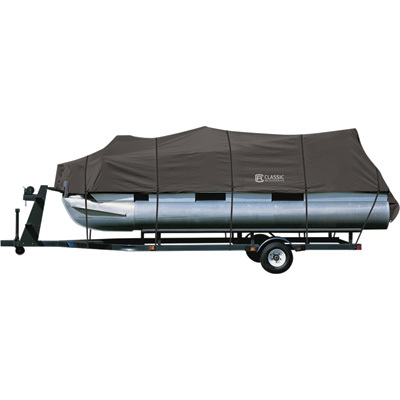 They're water resistant, mildew resistant, and UV resistant, and will help protect your pontoon boat against the harsh effects of sun, wind, rain, and snow, while also keeping it free of dry leaves and nesting critters. Great deals on pontoon covers can be found at leading retails as well as on eBay. 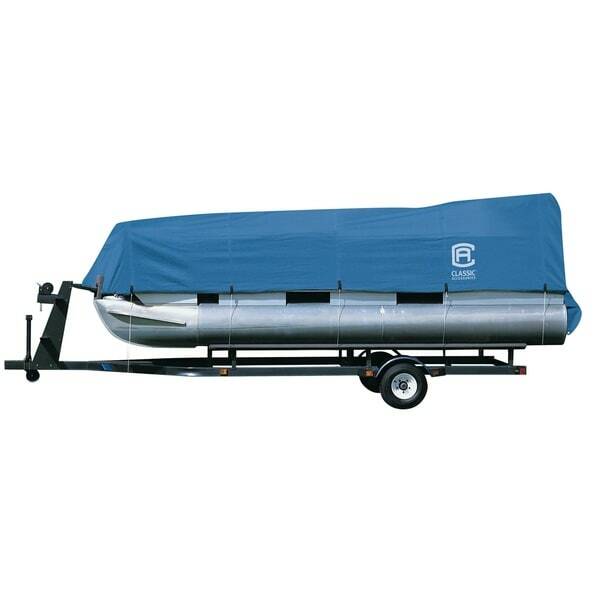 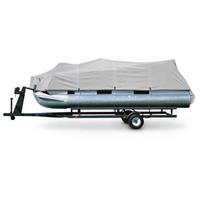 Pyle PCVHP660 Armor Shield Trailer Pontoon Cover - Universal Cover for Pontoon Boats - 17 in. 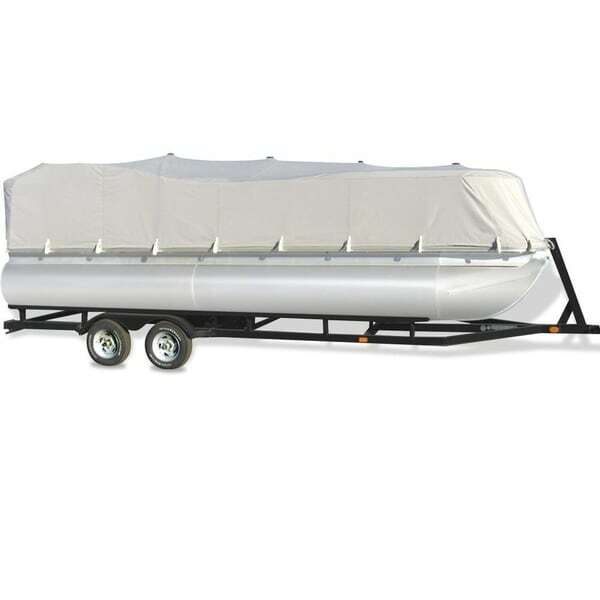 - 20ft. 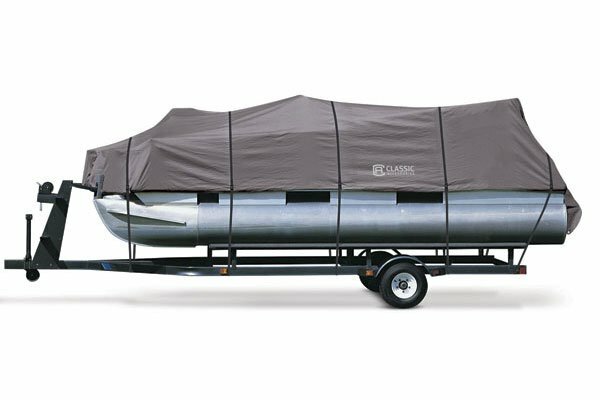 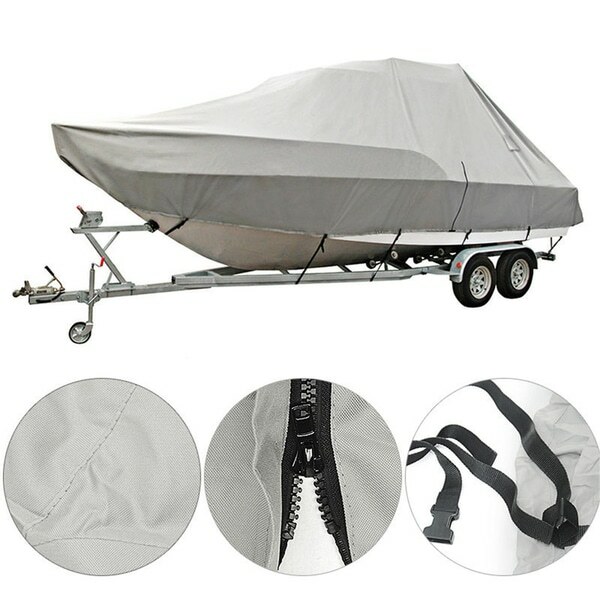 Pyle PCVHP662 Armor Shield Trailer Pontoon Cover - Universal Cover for Pontoon Boats - 25 in. 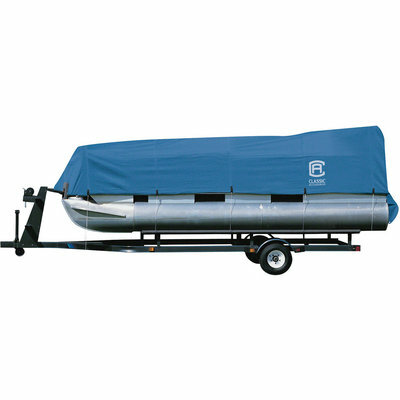 - 28 ft.